GALION — On Oct. 21, Galion’s Rus-Men Farms hosted the annual fall picnic for the non-profit organization Friends of Ohio Barns. 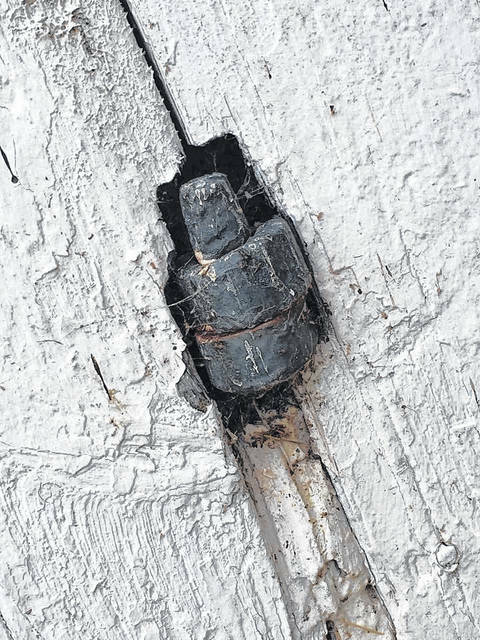 Established in 2000, Friends of Ohio Barns was founded with the idea of educating barn owners on the history of the buildings on their property and to connect them with resources that will help to preserve the structures as authentic as possible when needed. With 250 active members, the group travels Ohio regularly to not only educate owners, but to enjoy and explore the barns themselves. Mendy Sellman first heard of Friends of Ohio Barns at an event hosted by the Galion Historical Society last year. She kept in contact with the group and that eventually led to inviting them to their farm on Iberia Road, west of Galion. At the picnic, there were 36 members in attendance from Findlay, Jeromesville, Granville, Lexington, Marysville and Lancaster. The group enjoyed grilled meats provided by Rus-Men Farms before breaking to tour and examine the barns on the properties owned by Mendy and her husband Russ. The land that Rus-Men Farms is located on, as well as other land they own in the area, was purchased by Mendy’s ancestors, the Pletcher Family, who were from Europe, in the early 1800s when they moved further west from the Lancaster, Pennsylvania. Having grown up and helped to farm the land with her grandfather, Gene Crim, Sellman had been educated for years about the history of her ancestors and the buildings on their land that has been passed down from generation to generation. Knowing this, Sellman was anxious to learn further history or information the structures themselves might offer. The first barn the group looked at was approximated to have been built between 1880-90s. Based upon the structure of the building and the areas that had been adapted for animals or crops over the years, Rick Beck felt the barn had always been a “working barn” because it has been so well maintained. “These barns were built to last centuries,” said current Friends of Ohio Barns President Pam Gray. The biggest discovery of the day was a visit to the property owned by Galion’s James Goudy on Beck Road. After a few gentlemen in the group walked through to examine the building, it was determined that the barn was likely built around1830. The swinging doors to the barn still hang in the original hand forged hinges. “In North Central Ohio, this is the oldest barn I’ve seen,” Rick Beck said. At the conclusion of each barn visit, Friends of Ohio Barns presented a plaque for each location to display marking the visit by their group. Friends of Ohio Barns are planning for their Spring Barn Tour for 2018. For that event, they annually take two buses and tour 6-7 barns per day over a two day period. The group is also looking to meet somewhere in Morrow County in 2019. 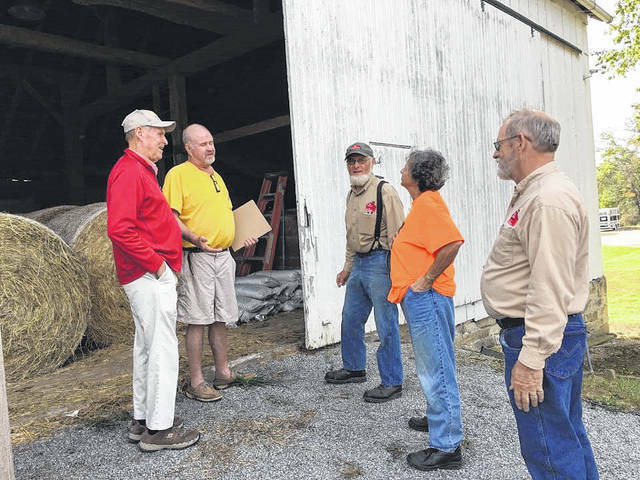 Dr. James Goudy stands in front of a barn on Beck Road last week with members of Friends of Ohio Barns. The members determined his “Sweitzer” style barn was likely built around 1830.
https://www.galioninquirer.com/wp-content/uploads/sites/38/2017/10/web1_Barn-one.jpgDr. James Goudy stands in front of a barn on Beck Road last week with members of Friends of Ohio Barns. The members determined his “Sweitzer” style barn was likely built around 1830.